No matter where you live in the Greater DC Metro Area, Northern Virginia. Or even up into Maryland, when you’re searching for a ‘cheap limo service near me. You’re going to find us in the results. You’ll often find us at the top. And we’re not talking about the companies that pay for placement at the top of the page. We’re talking about the top of the genuine, organic list. We have maintained an impeccable reputation throughout the years by doing our best towards providing our clients with the most excellent personalized service they could get. Taking these things into consideration makes it obvious that we are one of the best choices when it comes to reliable car services. So if you ever come in need of luxury transportation at affordable prices make sure that you contact us. Why we’re the best when it comes to limo rentals near me. Why is it that we come out on top in almost every search? It has a lot to do with our experience. We have been providing the party bus rental near me or best limousine service near me in the entire area for more than 20 years. Since 1993 we have not only offered the best late-model limos and buses. But the most affordable rates, the best safety, the best on-time service, and most incredible luxury. 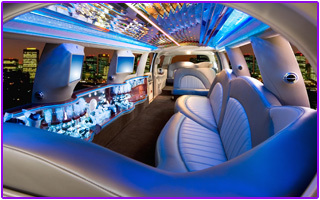 We have just about any type of limo or bus you could want. We have traditional stretch limos, Lincoln Town Cars and other sedans, SUVs. 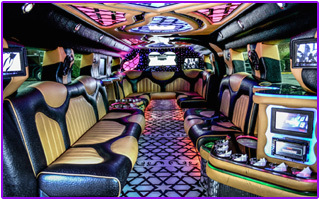 We have the incredible Hummer limo, party buses, minibuses, executive minibuses, and an incredible fleet of coach buses. What About our Cheap Limousine Rates? People are concerned about price, and understandably so. We wouldn’t characterize our prices as being a cheap limo service. But we are affordable. We offer the best in luxury and safety at the most affordable rates. Think About the Amenities, too. Immediate billing might not be important to you. Short notice availability may not matter right now. 24/7 customer service might not concern you. Those things are not a big deal, until they are. We offer that and so much more. If you try to contact another limousine service in the area after normal business hours. You’ll likely be directed to leave a message and hope somebody gets back to you. That might be a minor inconvenience at first, but as the special date approaches. If you have questions, need to make changes to your itinerary. Or need to alter the reservation it any way, good luck. You know that you deserve the very best Limousine Service Near DC. This is why looking for a “limo service near me” when planning that special event, be it a wedding, prom or something else, is an important step. Take a ride with us and discover why we are the best in the business. We know how important traveling has become to modern man. So we make sure that commuting with us is a fast, reliable, and fun thing to do, regardless of the commute’s distance. So if you need to travel in style and comfort, feel free to reach out to us. If you come in need of a “Cheap limo service near me“, then you should consider contacting us as we have an amazing selection of vehicles at your disposal at very good rates. You will never have to worry about a thing while riding with us as we have never sacrificed quality in order to achieve lower prices. Do not hesitate and contact us whenever you are looking for a “Limo service near me“. Whenever you search for “Cheap limos near me“. You are more than likely to come across us as we are one of the best choices for you when it comes to this kind of service. Our rides are always some of the safest you can get as we do our utmost in order to make sure that we have outstanding vehicles which are able to perform exceptionally well at all times. You will never have to worry about a thing whenever you use our DC Party Bus. Because we have some of the most reliable drivers in the business as they undergo an expert training as well as a background check and regular screenings for drugs and alcohol in order to make sure that you have a smooth and safe ride with us at all times. You should hire our services and let us take good care of you whenever you need a cheap party bus rentals near you. We make sure that all of the rides are smooth by constantly updating our extensive fleet. There is no doubt that you will find exactly what you are looking for among our wide selection of cars, limos, and buses. To further ensure that your time on the road with us is enjoyable. We provide only the latest models of vehicles, which are some of the best when to comes to performance and luxury. So you should most definitely consider booking one of our rides to take care of your high-class transportation needs. We don’t make you jump through hoops. We’re the best limo service near you, hands down. And we’re ready to prove it. Call us Now at (202) 830-0479 or Get free quotes today!